le chaudron de vulcain – October 13 , 2018. EN. La Réunion : Piton de la Fournaise , Colombia : Nevado del Huilà , Guatemala : Fuego , Alaska : Semisopochnoi , Ecuador : Cuicocha . Home / Alaska / October 13 , 2018. EN. La Réunion : Piton de la Fournaise , Colombia : Nevado del Huilà , Guatemala : Fuego , Alaska : Semisopochnoi , Ecuador : Cuicocha . Activity bulletin of Friday, October 12, 2018 at 15:00 (local time). The eruption started on September 15th at 4:25 am local time continues. The intensity of the volcanic tremor (indicator of eruptive intensity at the surface) is still gradually decreasing for seven days, even if this decrease has slowed down considerably over the last 24 hours (Figure 1). – No volcano-tectonic earthquake was recorded during the day of 11 October, nor during the current day. 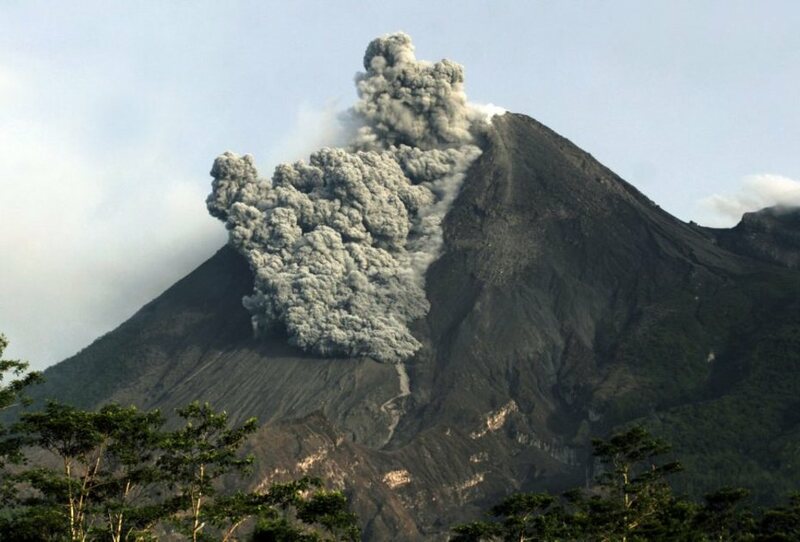 – No reconnaissance of the terrain could be done today given the bad weather conditions on the volcano. 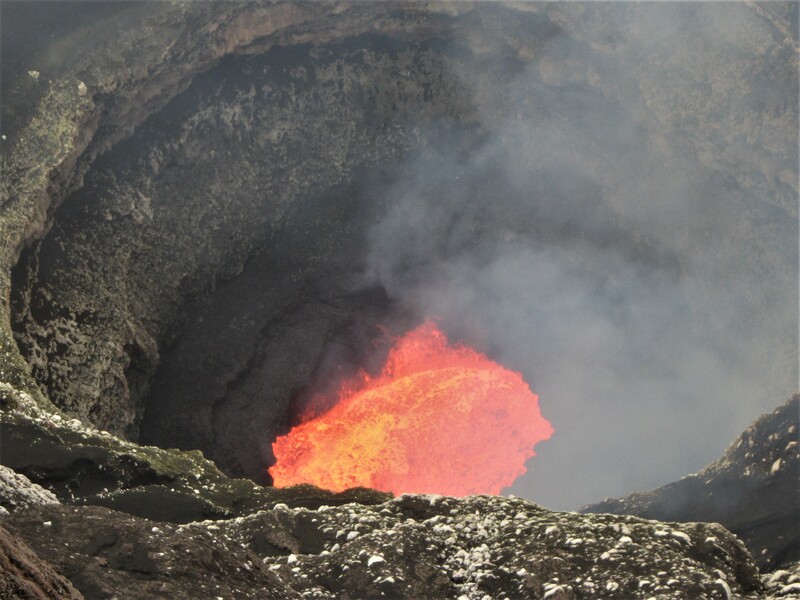 If the weather conditions allow a reconnaissance and a sampling of lava at the front of flow is expected Sunday morning by a team of the OVPF. These samples will then be sent as soon as possible to metropolitan France for analysis to see if the magma accumulating in the reservoir for almost two weeks now is already coming out or if it continues to accumulate in depth, with in this case a possible risk of opening new cracks. • During the evaluated period, 351 seismic events were recorded, 141 related to rock fracturing processes and 210 to fluid dynamics in volcanic canals. Of these, 202 were classified as long period (LP) events, six (6) as tremor (TR) pulses, and two (2) as hybrid (HB) earthquakes. 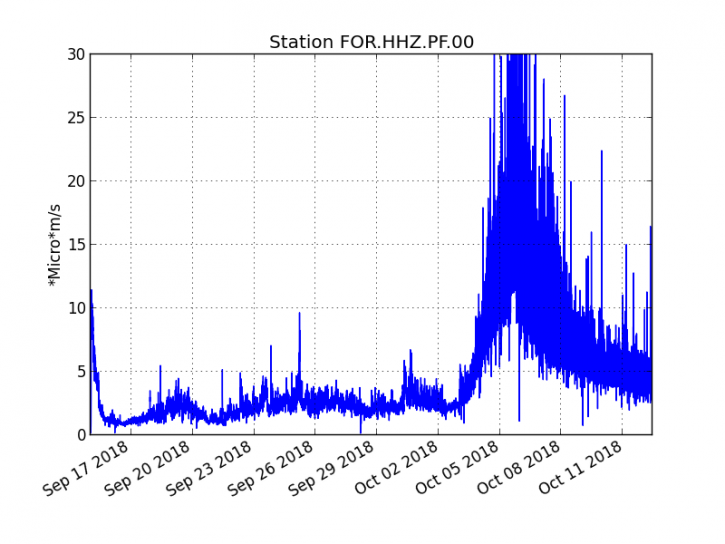 • The seismicity associated with billing processes (VT) highlights the event recorded on October 5 at 4:26, which had a local magnitude of 2.6 ML located southwest of the central peak of the volcano, at a depth of 7 , 8 km, which was reported as felt in the Wila indigenous reserves, municipality of Páez. • The images obtained during the week by the web cameras of Caloto, Tafxnú, Maravillas and La Palma showed very low levels of degassing of the volcanic system. 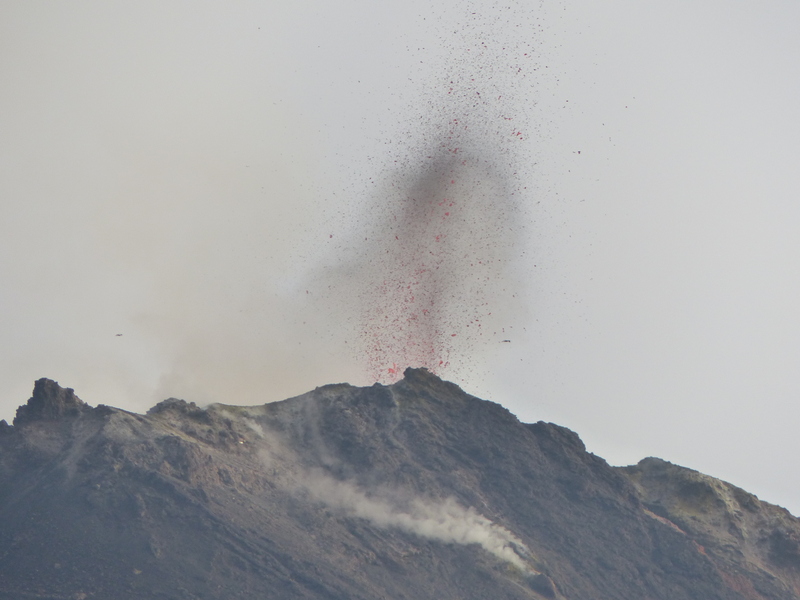 Therefore, it is concluded that the volcano exhibited stable behavior during the evaluated period. 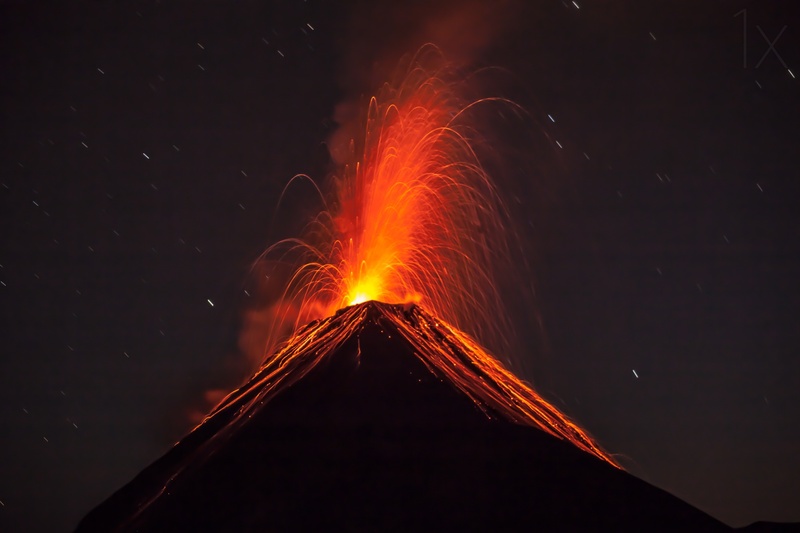 The Colombian geological service is attentive to the evolution of the volcanic phenomenon and will inform in good time on the changes which could occur. SPECIAL VOLCANOLOGICAL BULLETIN BEFGO # 174-2018, ERUPTION EFUSIVE Guatemala October 12, 2018, 08:00 hours (Local time). The Fuego volcano has shown in recent hours a slight increase in activity, as it is observed on the RSAM chart. The OVFGO reports constant explosions with weak to moderate characteristics. These generate ash columns at a height of about 4,600 m altitude that travel 12 km to the south and southeast of the volcano. Incandescent impulses at an approximate height of 100 to 200 meters above the crater, cause the fall of volcanic materials of different sizes to more than 300 meters and avalanches to the ravines Santa Teresa and Ceniza. Lava flows are reported towards the Santa Teresa ravine, located to the east, between 800 and 1,000 meters long. Low to moderate shock waves are reported in the volcanic perimeter. In addition, the constant degassing is similar to that of a locomotive. It is possible that in the next hours or minutes, lava flows will be generated mainly towards the main ravines. The behavior of the effusive activity is maintained, but it is possible that this increases and that the descent of pyroclastic flows is generated in the main gullies so that the INSIVUMEH continues to monitor the eruption. 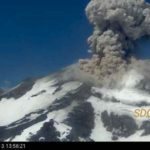 Recent satellite observations and a lack of seismic tremor over the past week indicate eruptive activity at Semisopochnoi has paused. Thus we are lowering the Aviation Color Code to YELLOW and the Volcano Alert Level to ADVISORY. Although seismic tremor is currently absent at Semisopochnoi, discrete earthquake activity remains above background levels. Pauses in eruptive activity lasting for weeks to months are known to occur during volcanic eruptions. A return to eruptive activity remains a possibility at Semisopochnoi that could occur with little or no warning. 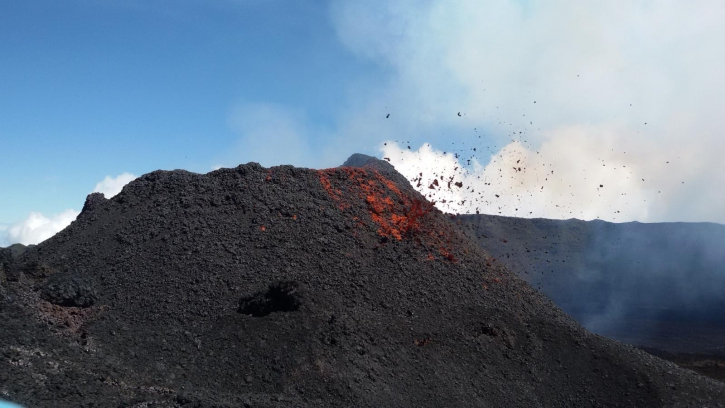 AVO will continue to monitor the volcano closely. Update of the status of the seismic activity: return to the basic level. After the increase in the number of earthquakes recorded on October 2 and 3 on the Cotacachi-Cuicocha volcanic complex, seismic parameters returned to baseline levels as of October 4. Between October 1st and 4th, the volcano recorded a total of 62 earthquakes. This type of activity (swarms) has already been observed in previous years (Table 1) and has been reported rapidly to the public. During the swarm of the days mentioned, no anomaly was observed in the CO2 concentrations in the lagoon or in the parameters that measure the deformation. The Cotacachi-Cuicocha Volcanic Complex is located in the northern part of the Western Cordillera of Ecuador, 120 km from the city of Quito and 10 km from Cotacachi. The complex consists of a central building (Cotacachi volcano), 4 satellite domes (Cuicocha, Muyurcu, Loma Negra and Piribuela) and the Cuicocha volcanic caldera, which represents the most recent phase of activity of the complex (3100 -2,000 AP). He is considered potentially active. The Cotacachi-Cuicocha volcanic complex is monitored continuously instrumental by a network of 4 broadband seismic stations (CUIC, CUSE, CUSW, COTA), 2 GPS stations designed to measure deformation (CCNE and CUIC), 3 accelerometers located in the cities of Cotacachi, Otavalo and Atuntaqui (ACOT, AOTA, ATUN) and 4 stations of the national seismograph network (OTAV, URCU, IMBA, YAHU). In addition, periodic geochemical monitoring of diffuse CO2 emissions is carried out through measurement campaigns in the Cuicocha Lagoon. In December 1988, the first seismic station was installed to monitor the volcanic complex. 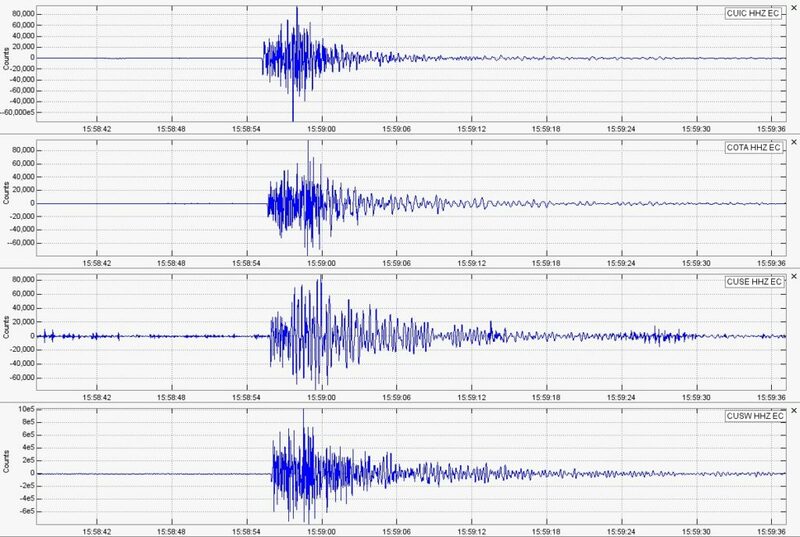 Since this year, the number of seismic monitoring stations has increased with the help of the central government and the municipality of Cotacachi. In recent years, seismic stations have recorded several seismic swarms associated with Cuicocha activity. (Table 1) In some cases, these earthquakes have been felt in towns near the volcanic complex. Table 1. – Swarms recorded on the Cotacachi-Cuicocha Volcanic Complex. In October 2018 until the 4th of the month, 62 volcano-tectonic events were recorded, corresponding to fractures of rocks. The largest magnitude quake was 2.5 MLv and was recorded on October 2 at 10:58 (TL) (Figure 1). The event was reported as very slightly resenti, in the volcano area and in the city of Quiroga. Figure 1.- Seismogram of the event from 02-10-2018 at 10h58 (TL). Magnitude 2.5 MLv. Of the 62 earthquakes, 10 events could be located (phases in 4 stations). 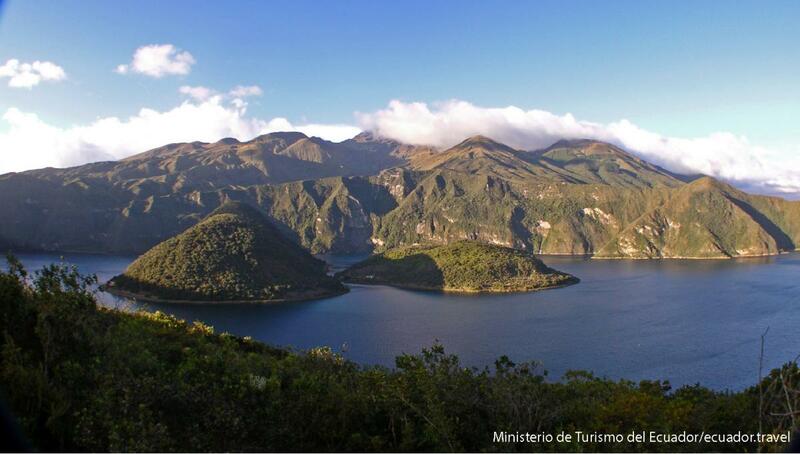 The epicentres are located in the caldera de Cuicocha and in the northern part of it. . Figure 2 presents the time series of the « vertical axis » of the CUIC geodesic base of the Cuicocha volcano compared to the CCNE base. In 2018, there is no significant deformation of the Cuicocha volcano suggesting an entry of magma. Figure 2.- Time series of the Cuicocha GPS station (vertical axis). In 2011, the Institute of Geophysics conducted 17 campaigns to measure the flow of CO2. 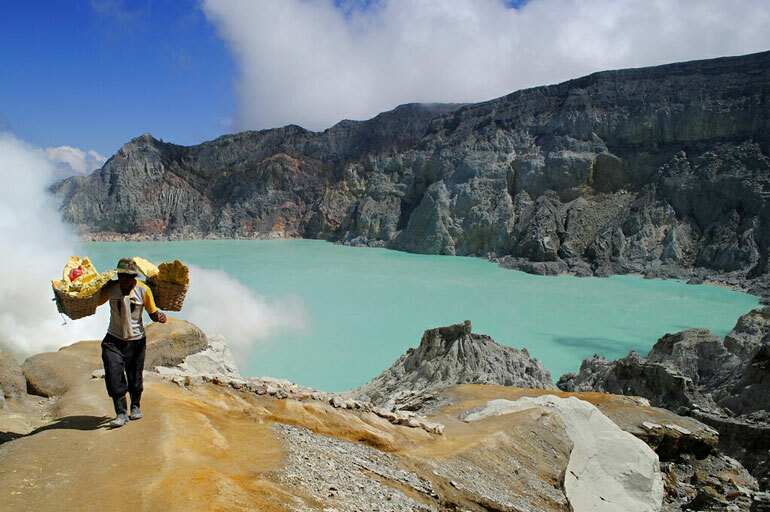 The objective is to evaluate CO2 emissions changes across the lagoon in order to identify seasonal patterns and establish a baseline level to detect possible anomalies related to a change in magmatic activity of the volcano . During the September campaign of this year, a maximum CO2 flow of 253 g / m2 / day was recorded in the North Zone of Yerovi Dome and a minimum of 6.3 g / m2 / day was recorded. The CO2 values recorded in the Cuicocha Lagoon are within the ranges measured in other campaigns and do not reflect a significant increase in the degassing of this gas. 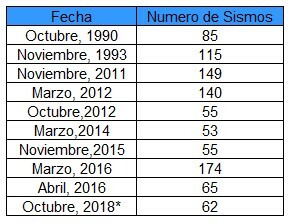 During the period in which the Institute of Geophysics instrumentally monitored the Cotacachi-Cuicocha Volcanic Complex, at least 10 seismic swarms have been observed since 1990. The seismic activity of the volcano has returned to its basic levels after the swarm recorded on October 2nd and 3rd. A total of 62 VTs were counted. 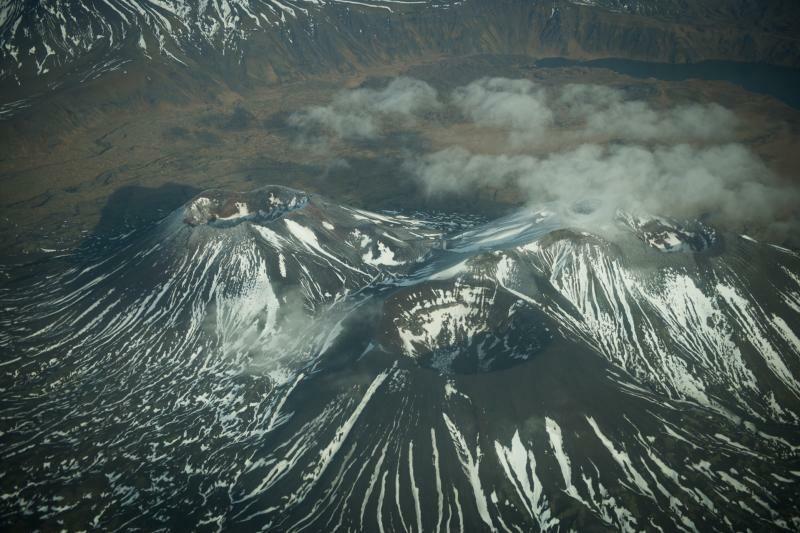 The CO2 flux recorded during the September campaign is within normal ranges and does not indicate an increase in magma activity within the volcano. The deformation shows no anomaly that could be related to the rise of a quantity of magma inside the volcano. 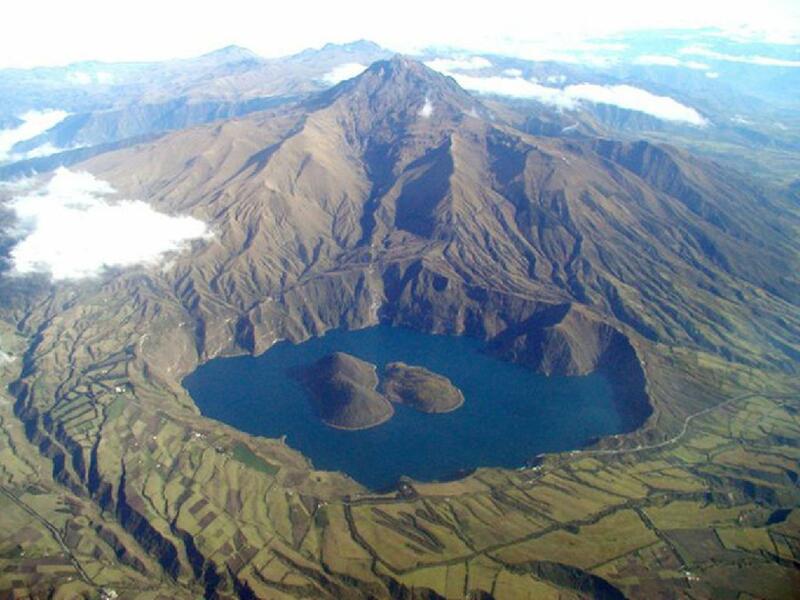 The Institute of Geophysics provides permanent monitoring of the Cotacachi-Cuicocha Volcanic Complex and any changes in its activities will be reported.